PLAYBAR is the slim, sleek, beautifully-engineered soundbar that delivers great audio for all your movies, TV shows, sports, and games—and wirelessly streams your favourite music too. PLAYBAR replaces your TV’s built-in speakers with nine amplified speaker drivers for deep, rumbling lows, crystal-clear dialog, and immersive waves of sound. The size, shape, and setup of your room—as well as the location of your TV—all have a big effect on the sound you hear. Trueplay measures your room and fine-tunes the sound to fit the space. To make sure whatever you’re watching sounds as spectacular as possible. 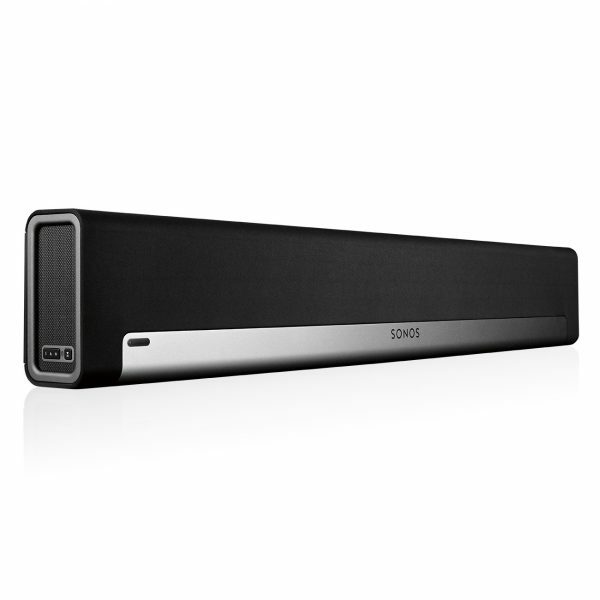 PLAYBAR features nine speakers designed in a phased speaker array to deliver “directionality”. In plain English, that means if there’s a huge crash on the left side of the screen, you’ll hear it on left. Your speakers will be playing the sound while the speakers on the right play the inverse of that sound. Crazy, but that’s what it takes to make it sound real. 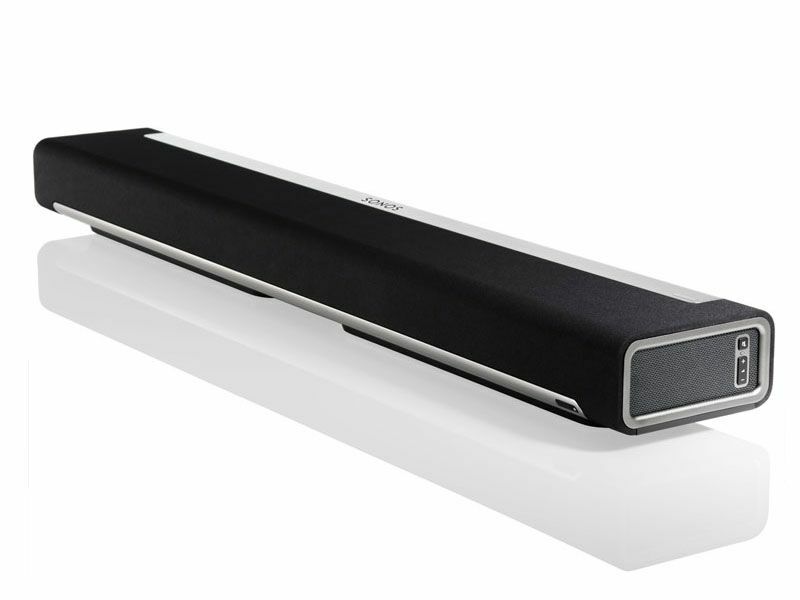 Trueplay tuning analyses the room, then adjusts your PLAYBAR to deliver the best sound possible. For both music and home cinema. Two cables. That’s it. One power cable. And one optical cable that connects to your TV. You don’t even have to read a manual. The Sonos app guides you through each step of the setup process. Including connecting PLAYBAR to your WiFi, so you can stream your favourite music. PLAYBAR works with almost all TV, cable box, and universal remotes by learning their infrared (IR) commands during setup. The remotes you already have are all you need. PLAYBAR is just the beginning of your ultimate home cinema experience. 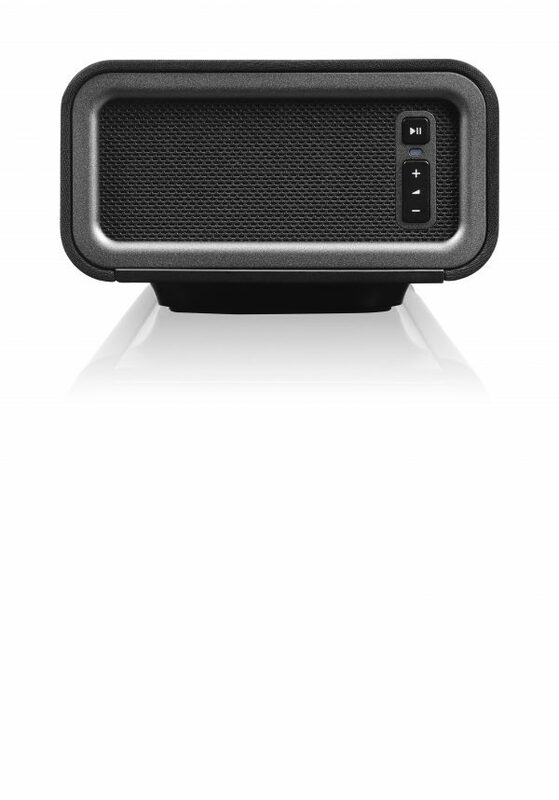 Add a Sonos SUB for soul-shaking bass. Want full surround sound? A pair of PLAY:1, PLAY:3 or PLAY:5 speakers make great rear channels. 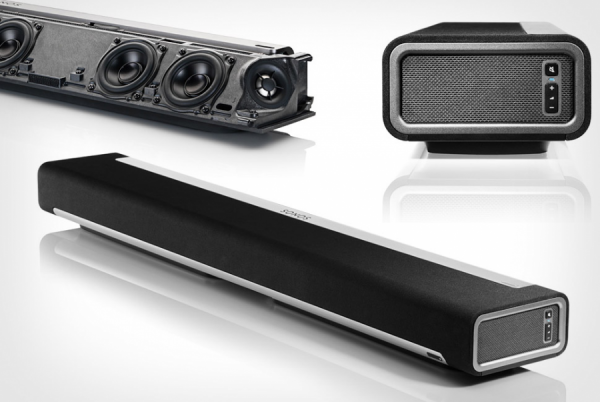 PLAYBAR makes movies, sports, TV, games, and music come alive… but just in one room. Add more Sonos speakers to different rooms in your home, and then you can listen to what’s playing on your TV in any room. Perfectly synchronised. When you’re done watching, you can listen to all the music you love all over your home.